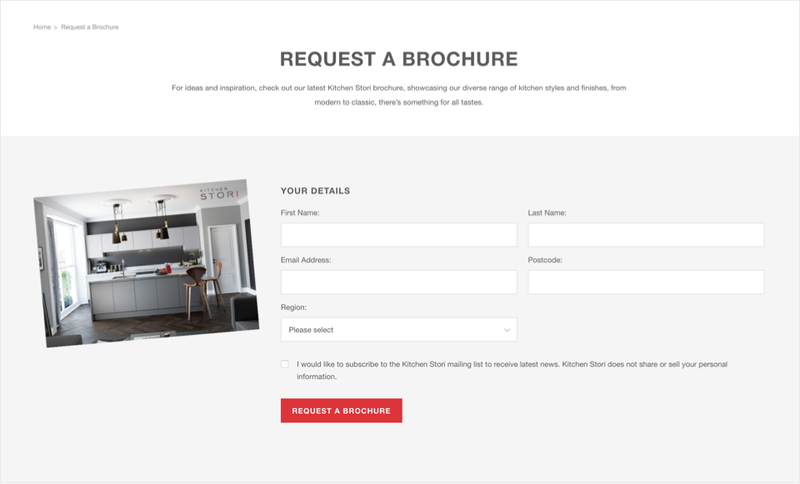 Kitchen Stori commissioned Eyekiller to deliver a new website and digital strategy to grow brand awareness, drive lead generation and increase market share. 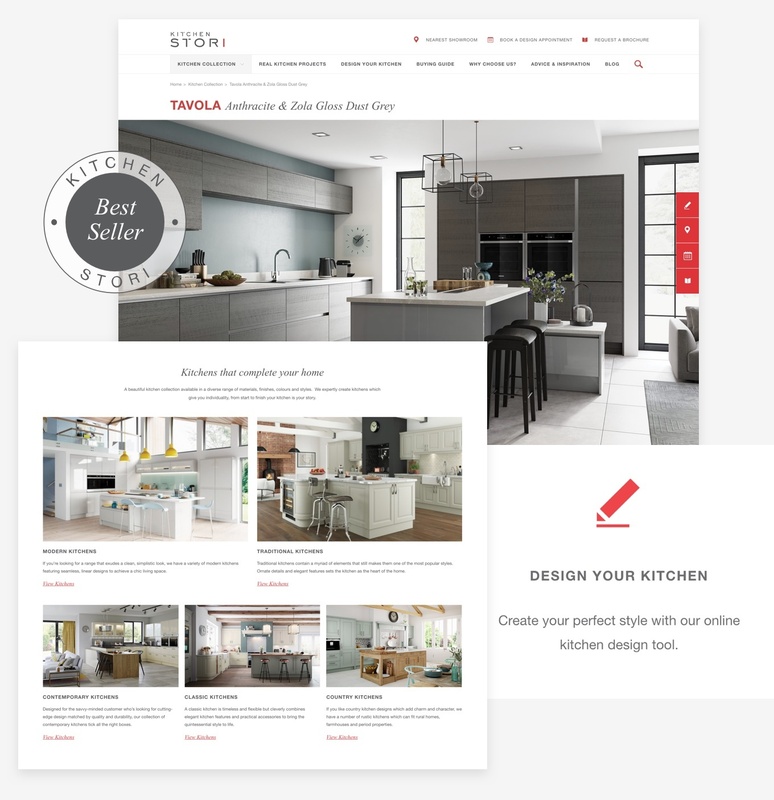 The award-winning distributor of kitchens and accessories trades throughout the UK and Ireland. 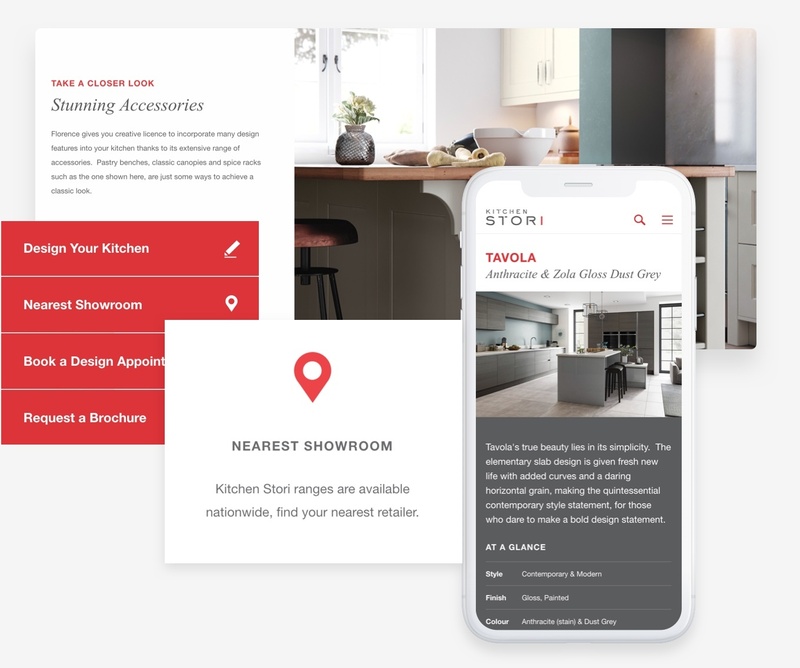 Kitchen Stori really wanted to energise their User Experience (UX), particularly for their growing mobile audience. 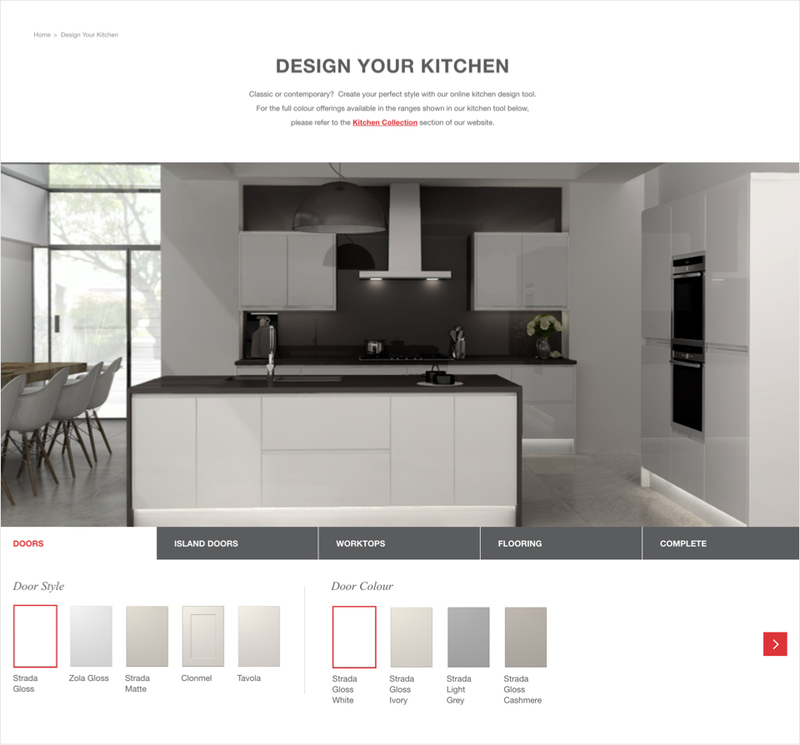 Their key objectives were to build brand awareness, enable visitors to design their kitchens online, and to drive leads to physical showrooms. 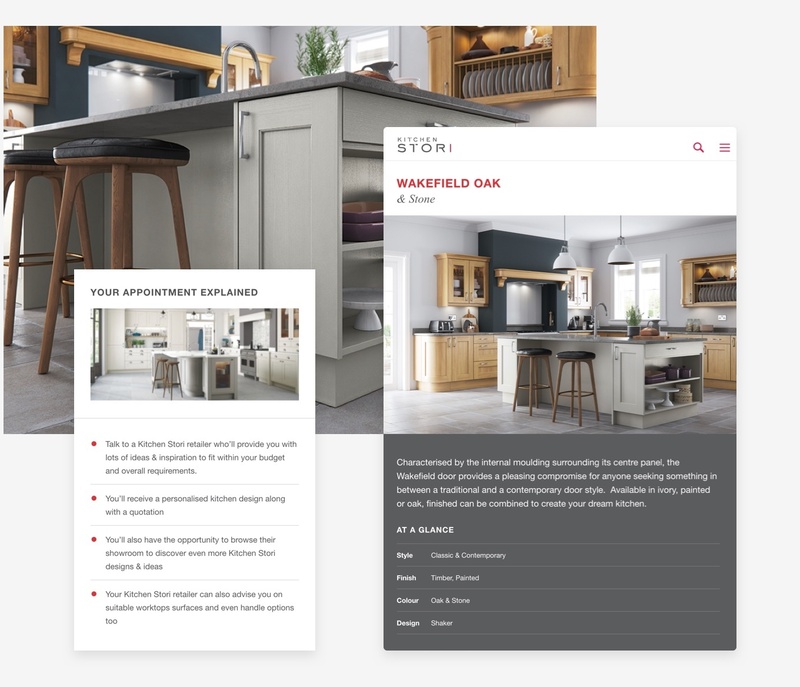 Given the remit to provide enhanced UX, we created wireframes that would allow us to understand how the arrangement of the website’s content, interface, calls to action and navigation performed together. 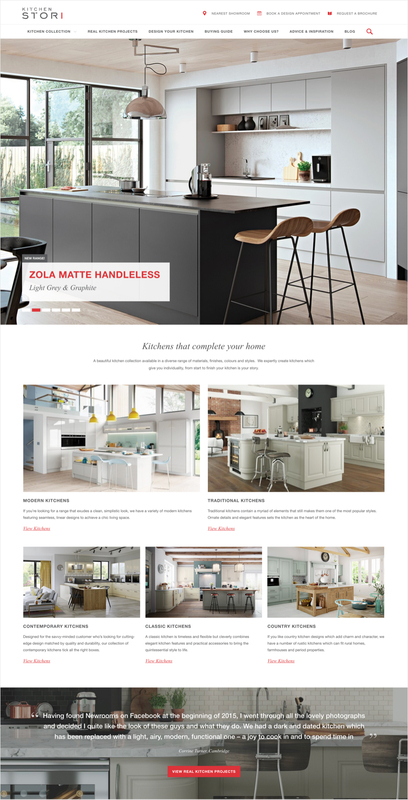 We then created a clean, contemporary look for the website that would reflect the design ethos of the company. 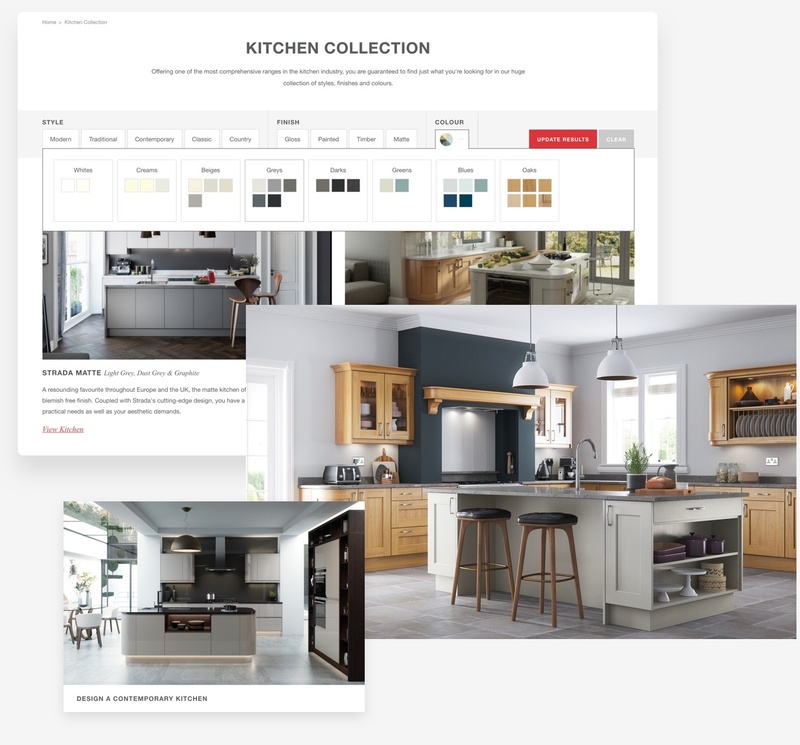 Full screen imagery, photo sliders and considered content were implemented alongside a refined search function and a gallery of real life kitchen projects. We also introduced an exciting interactive tool to enable visitors to create their own, customised designs online. Our actions have brought the showroom experience into the home of visitors and built substantial brand awareness. 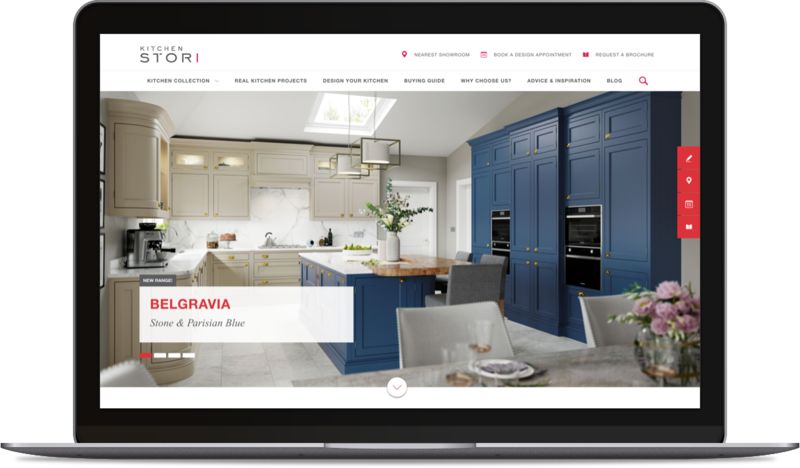 To celebrate the launch of the website, we ran a ‘Win a Kitchen’ competition on Facebook and received 4,000 entries in just two weeks. 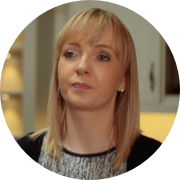 Our ongoing PPC strategy continues to attract new traffic to the site, providing a stream of fresh leads.